Painting - AMS Home Improvements LLC. Peace of mind – we take all responsibility, from helping you choose the right color to cleaning the property after work completion. Security – only long-term painters with verified non-criminal backgrounds. Exterior painting serves not only to beautify your home, but to protect it. Quality above the standards – experience, skills, and positive attitude for all exterior and interior painting services. Homeowner’s comfort – painters do not smoke, do work quietly, and do speak English. Fast, accurate service – we promote painters for fast, clean, mistake-free work. Help in emergency situations – we handle drywall, plaster, and leak repairs, as well as insurance claims. Apartments – preparation for new tenants – one day or overnight service. Accident security – Insured with $2,000,000 Liability Insurance and Workers' Compensation Insurance. At AMS we use the latest technology to better serve you. 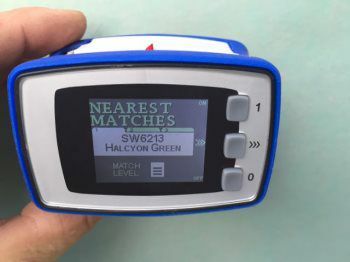 For example, we use a mobile color matching device that can instantly scan any surface or object in your home, and tell us the matching paint color. No need to go to Home Depot anymore. We bring our color matcher to every paint estimate. 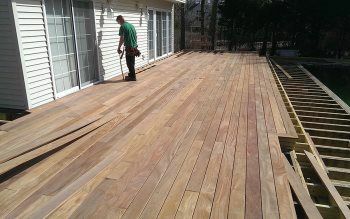 At AMS, we are focused on providing the highest quality carpentry services with the highest levels of customer satisfaction and we will do everything we can to make sure you love your new deck. Cumaru, AKA Brazilian Teak is more affordable than you may think !